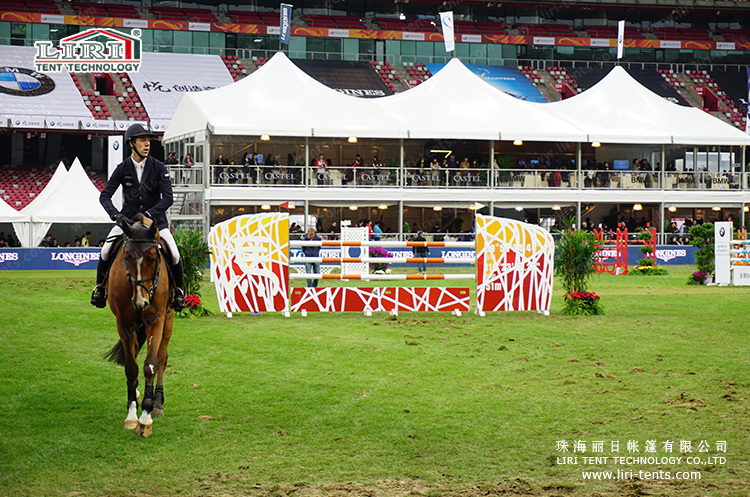 High Peak Tent make it different from the traditional A-Shaped tent and looks special from your event outside. 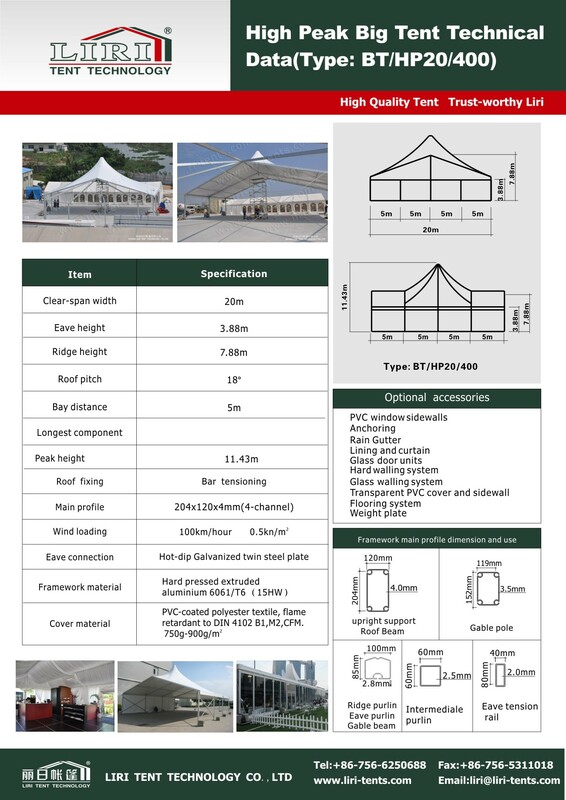 Thanks for the modular design of our aluminum PVC structure tent, every one high peak can be added to 2 bay of the tent. Take a 20x30m tent for an example, total 5 high peak is workable. Moreover, high peak tent can design as double decker structure as second floor roof.